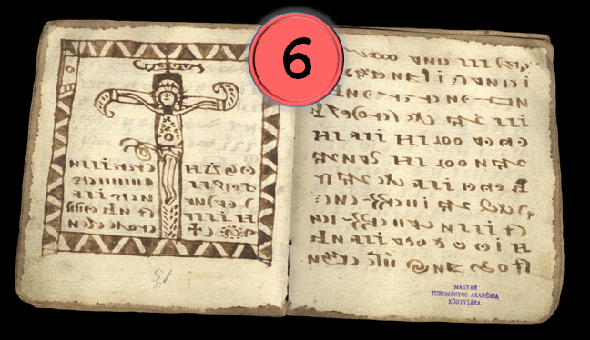 The Rohonc Codex is one of the most famous cryptograms in the world. But is it still an unsolved one? That’s difficult to say. When I assembled my list of the top 50 unsolved cryptograms in order to write an article series about it, it was clear to me that the Rohonc Codex had to be one of the top ten entries. But then, a few weeks ago I read that two Hungarian researchers had solved the Rohonc Codex. So, what should I do? Remove the Rohonc Codex from my list and replace it with a less important cryptogram? Leave a position in the top ten empty? Rearrange my list? Report on the doubts that have been stated about the solution? I decided to do neither of these. Instead, I wrote this article for my top 50 series treating the Rohonc Codex as an ordinary unsolved cryptogram. I will come back to the recently published solution and the doubts about it in the last paragraph. 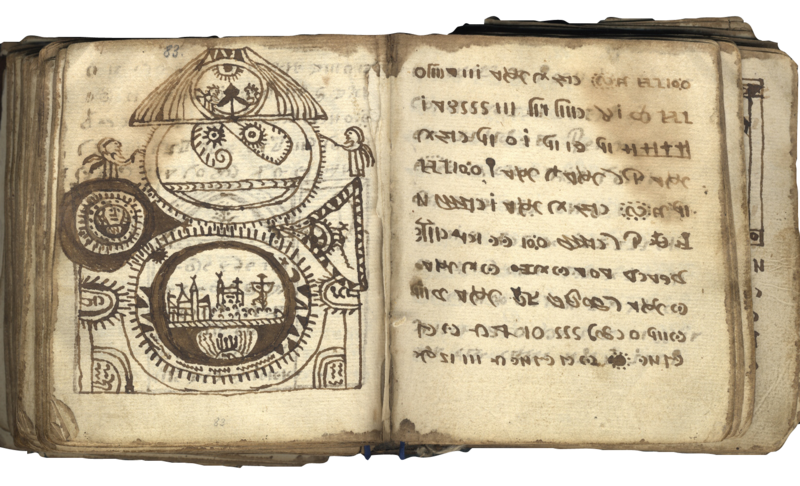 The Rohonc Codex is an old book written in an unknown script noone can read – just like the Voynich manuscript. We don’t know who wrote the book, where it was written and who was its original owner. It is also completely unclear what purpose it was meant to serve. There are numerous pictures in the codex, but they don’t provide much information about its history and its content. 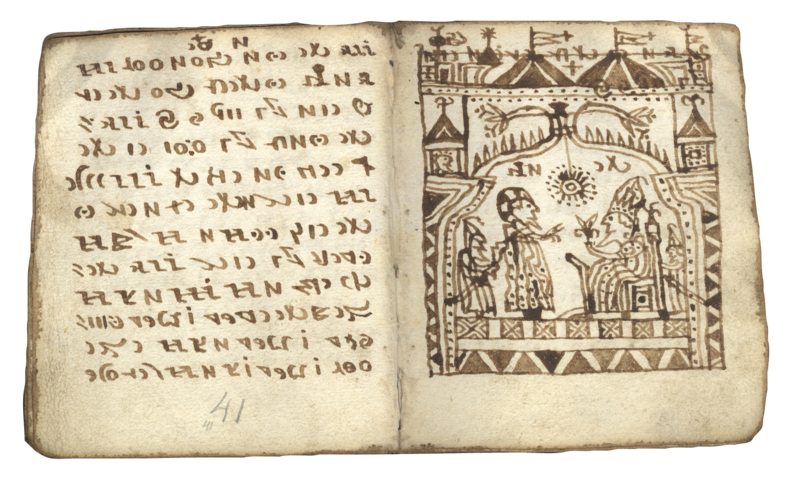 Although the Codex Rohonci is one of the most spectacular puzzles cryptology has to offer, it has long been overshadowed by the Voynich manuscript. Even crypto historians ignored the Codex Rohonci for decades. 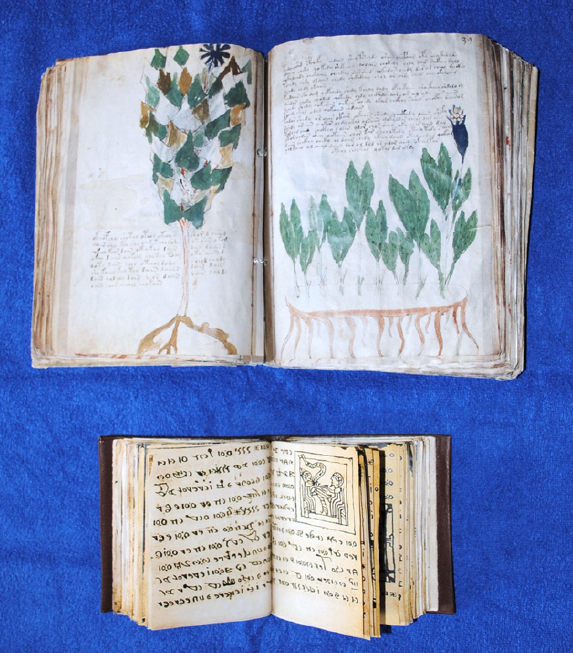 Only in recent years, word has spread that the Codex Rohonci is at least as interesting as the Voynich manuscript. The Codex Rohonci is at least 170 years old and comes from Hungary. Since 1838 it has been owned by the Hungarian Academy of Sciences, in whose building in Budapest the manuscript is kept. The codex was donated to this institution by a nobleman who lived in the town of Rechnitz, Austria. This town, called Rohonc in Hungarian, gave its name to Codex Rohonci. It is unknown how and when the codex came to the nobleman in Rechnitz and what had happened before. 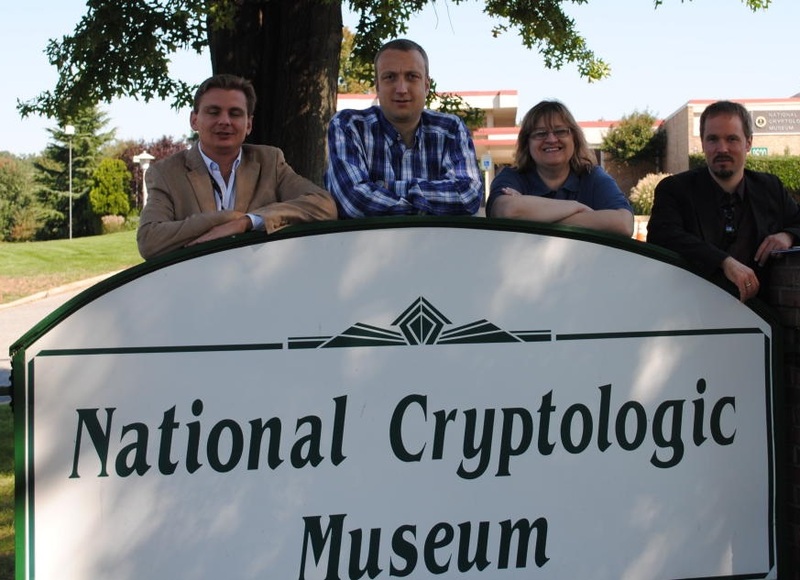 The major Rohonc Codex expert in the crypto history community is Benedek Láng (that’s the guy on the right, besides Elonka Dunin). In spring 2010, Benedek published a paper titled Why Don’t We Decipher an Outdated Cipher System? The Codex of Rohonc in Cryptologia. This paper is considered the seminal research work in this area. One of the few things we know for sure about the Rohonc Codex is the age of the paper used. This paper contains a watermark produced in Venice between 1529 and 1540. It is therefore likely that the Codex Rohonci was created in the 16th century. 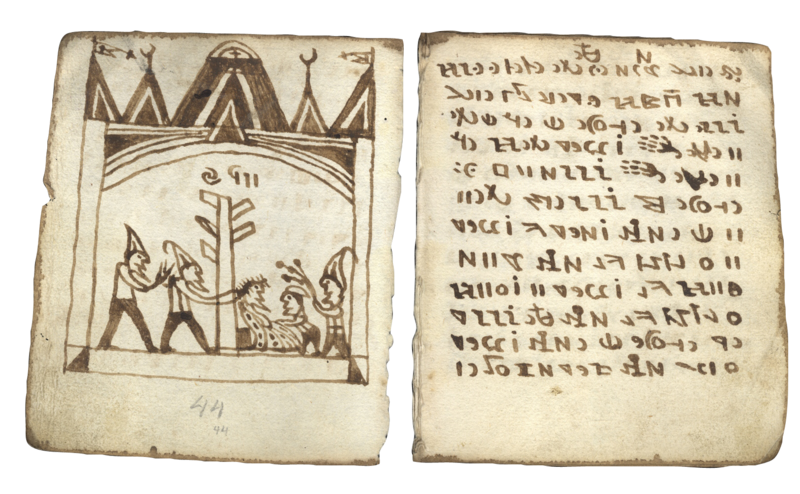 Each page of the codex has between nine and 14 lines written in unknown letters or symbols. The text formatting indicates that the author wrote from right to left. Spaces between words exist but are difficult to identify. The pages of the Codex Rohonci were originally not numbered (a 19th century scholar added numbers with a pencil). 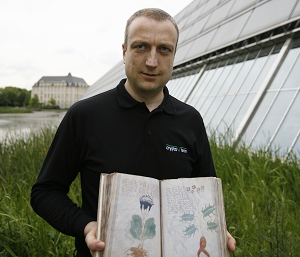 Like the Voynich manuscript, the Codex Rohonci is illustrated with numerous pictures. There are 87 illustrations in total, some of which fill an entire page. In contrast to the Voynich manuscript, the pictures are not painted in color. The artistic quality is modest, at best. In most cases, the motifs are scenes from the Bible, mainly from the Gospels. One picture shows the wise men from the Orient in the stable of Bethlehem, another shows the entry of Jesus into Jerusalem. The condemnation by Pontius Pilate and the crucifixion can also be easily attributed.